IN the highlands of Papua New Guinea, the tribal people of Kundiawa made Catholic priest Jan Jaworski one of their own. They brought him a spear, slaughtered pigs and made him a chief of the Nauro, the only white man they had so honoured. Father Jaworski, a small and softly spoken man, is a charismatic figure in the highlands -- a missionary doctor, who became a priest, who became a chief. From Poland, he has lived among the tribes for 28 tumultuous years, from independence to confusion. He has seen villages burned to the ground, rebuilt and burned to the ground again. 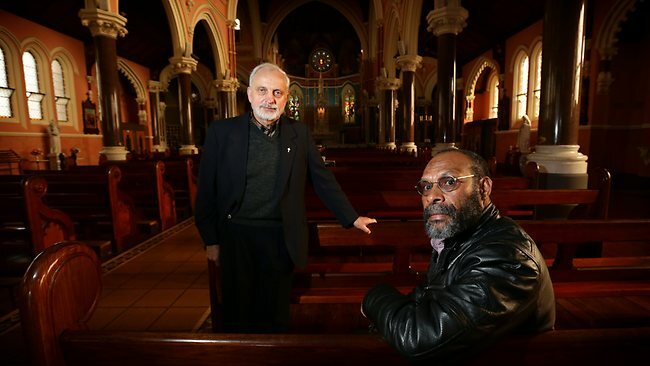 As he sits talking about his work, at a church in West Melbourne, with friend and social worker Brian Kuglame, there are strong echoes of the strife and dysfunction in remote Aboriginal communities and the response to it, including income management. For the past decade, community income from coffee, which underpins the regional economy, has been paid as credits for education or housing needs after years of quickly vanishing cash. "They see it in a positive way, that it is a wise decision," says Mr Kuglame. "It is their income, therefore it is their decision to make. But we are giving them the option to decide what is the future. I think money is driving our people crazy." Father Jaworski and Mr Kuglame were in Melbourne last week for a course on "the theology of the body", Pope John Paul II's "beautiful vision of sexuality". Promiscuity and HIV infection, first diagnosed in PNG in 1987, are growing problems, with more than 2 per cent of people now HIV-positive and infection rates in mining areas as high as 15 per cent. "Our people, in a very fast transition from tribal society to modern society, face a lot of confusion," Father Jaworski says. "What was traditionally a taboo sexual encounter now becomes somehow very confused, especially among the young generation." According to Mr Kuglame, the papal "beautiful vision" was an opportunity to "put life back in its right perspective". Father Jaworski and Mr Kuglame's comments about cultural confusion and social dysfunction are strikingly similar to comments by Warlpiri woman Bess Price. The regard for Father Jaworski as a figure of independent moral authority mirrors a dramatic re-evaluation of the missionary years in many remote indigenous communities, where it is now common to hear missionary order described as "better" than the chaos that followed. Father Jaworski recalls returning to Kundiawa after an AIDS conference in Barcelona in 2002. When he returned, there was "no parish, no people" after clan fighting during elections. "Everything was demolished," he says. "It was a terrible shock for me because how can you do pastoral work when there are no people?" Mr Kuglame remembers Father Jaworski in that time as a lone, but inspiring and ultimately unifying, figure. "There was life there no more, it was totally deserted," he says. "Just the priest, ringing the bell, and eventually the community was able to get together." Asked whether he regarded himself as surgeon, missionary or chief, he laughs and says: "It depends on the moment." Asked whether he was optimistic for the future, Father Jaworski says, "Yes, I am. I am sure that we are going in a good direction, even if sometimes it looks like there are too many downs." Mr Kuglame, too, is optimistic. "As we are bombarded with problems, some people may be looking at it in a negative way, but others are also looking at it in a positive way -- what can we do?"